Revenue in the Acoustic Pianos & Stringed Keyboard Instruments segment amounts to US$320m in 2019. The market is expected to grow annually by 0.1% (CAGR 2019-2023). In global comparison, most revenue is generated in China (US$412m in 2019). This market segment includes Stringed Musical Instruments that are played using a keyboard. Acoustic Pianos, both upright and grand, constitute the largest part of this market, which also includes harpsichords, spinets and clavichords. 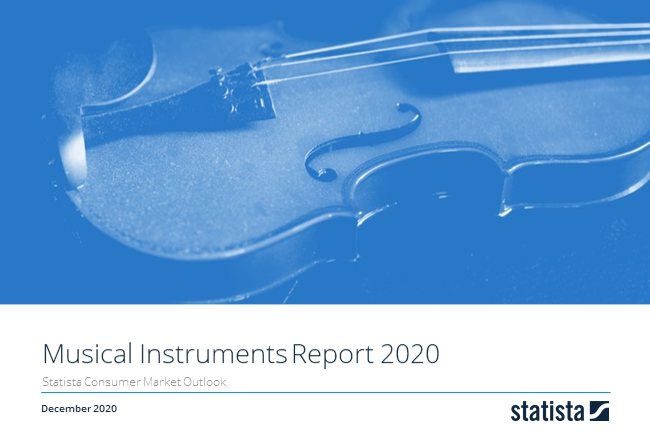 Reading Support Revenue in the Acoustic Pianos & Stringed Keyboard Instruments segment amounts to US$320m in 2019. Reading Support The Acoustic Pianos & Stringed Keyboard Instruments segment is expected to show a revenue growth of -0.02% in 2020. Reading Support The average revenue per person in the market for Acoustic Pianos & Stringed Keyboard Instruments amounts to US$0.4 in 2019. Reading Support With a market volume of US$412m in 2019, most revenue is generated in China.